The John Paul II Centre was blessed by the Archbishop of Birmingham, Bernard Longley and opened by HRH, the Princess Royal, in the autumn of 2011. The centre contains two function rooms. The larger main hall is 180 m² and can seat 160 for a formal dinner. The room, as is the rest of the building, is airtight with triple glazed windows and wall insulation ensuring a comfortable constant temperature with the minimum intrusion by external noise. The first floor function room is 58 m² and can accommodate 72 people, 42 seated at tables. Both rooms can be used for a variety of business and social functions and have adjacent kitchen facilities. Both rooms have inbuilt HD projectors and audio systems that can accept input from a variety of devices as well as wall mounted iPod/Phone docks and hearing loops. The entire building is built and run to the highest ecological standards presenting a minimal CO2 profile and is fully accessible for disabled users with a lift and toilet facilities on both floors. The main hall has a fully licensed and stocked bar and professional catering is available if required be that for the formal, the informal, the business or the social event. The Centre also has a secluded garden that can be used for BBQs. The John Paul II Centre is the brain-child of Fr Paul Martin, Parish Priest at the Immaculate Conception who was asked by the Archdiocese of Birmingham to build a badly needed Parish Centre. Inspired by a desire to proclaim Gods love and serve the community of Bicester, he and the parish had a vision to build a facility for the whole community that would, in turn, itself build community. During the official opening, the Princess Royal, referring to a group of children from St. Mary’s School present, stressed that the Centre was for them and for future generations. 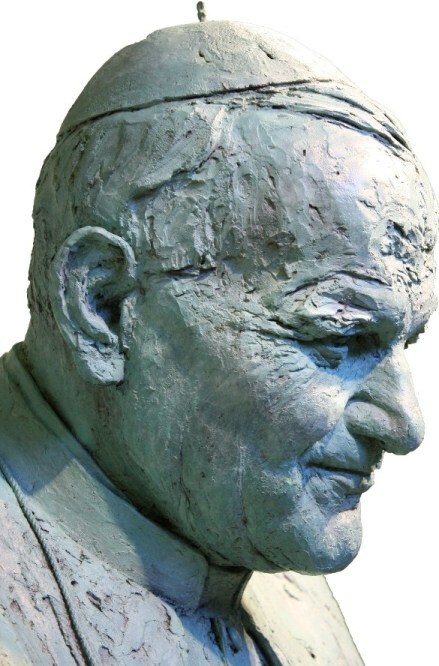 To enquire about booking The John Paul II Centre please contact the Parish Priest, Rev. Fr. John Batthula.